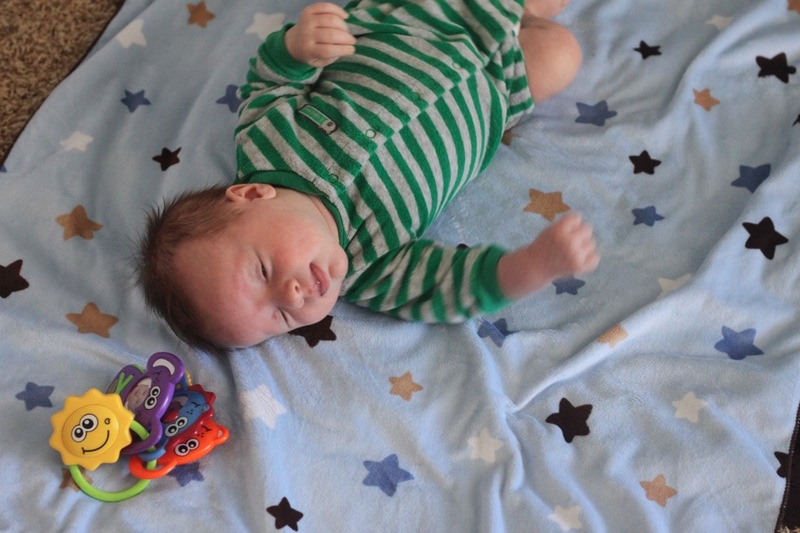 This pictures were taken when Cash was right around 8 weeks old. 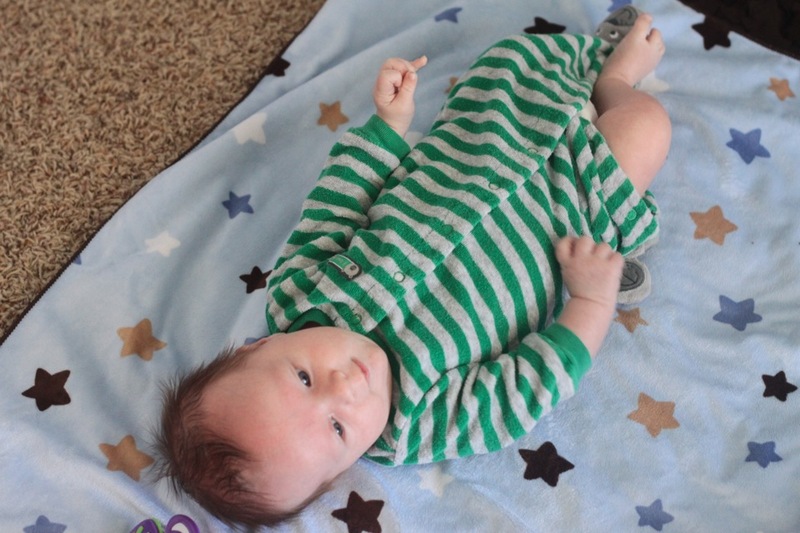 I’ve learned to take pictures when I think of it because he usually grows out of outfits after wearing them only once. 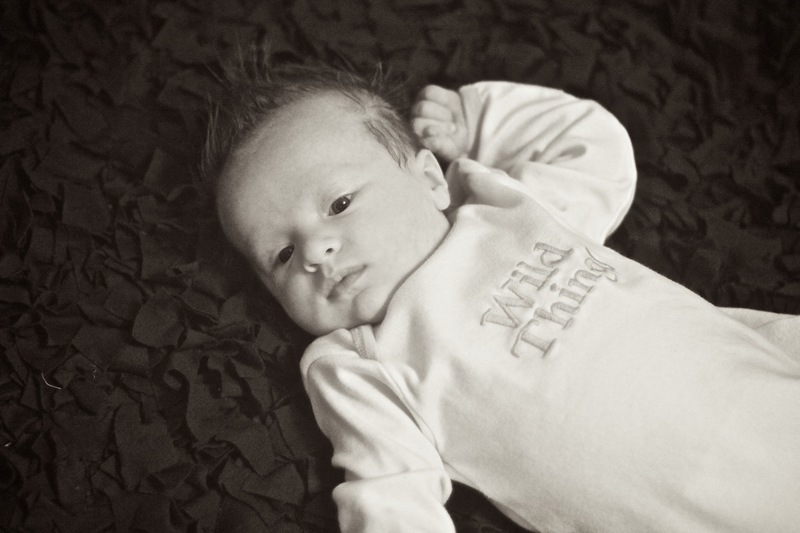 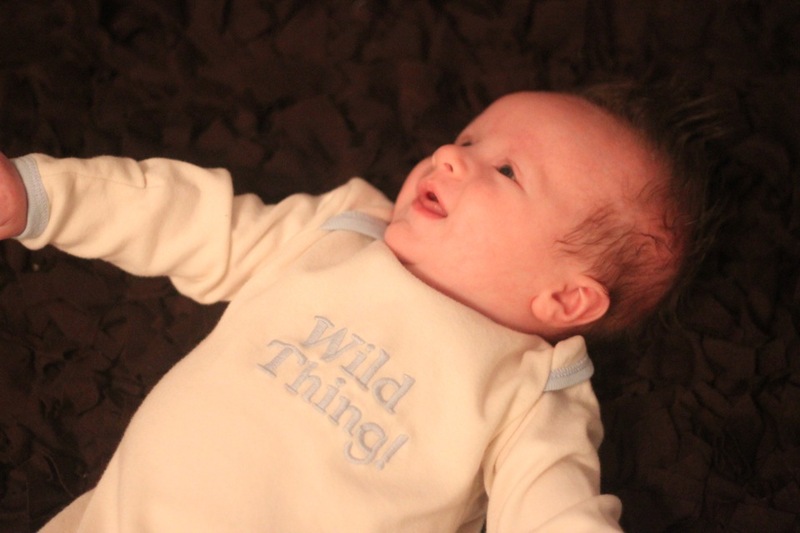 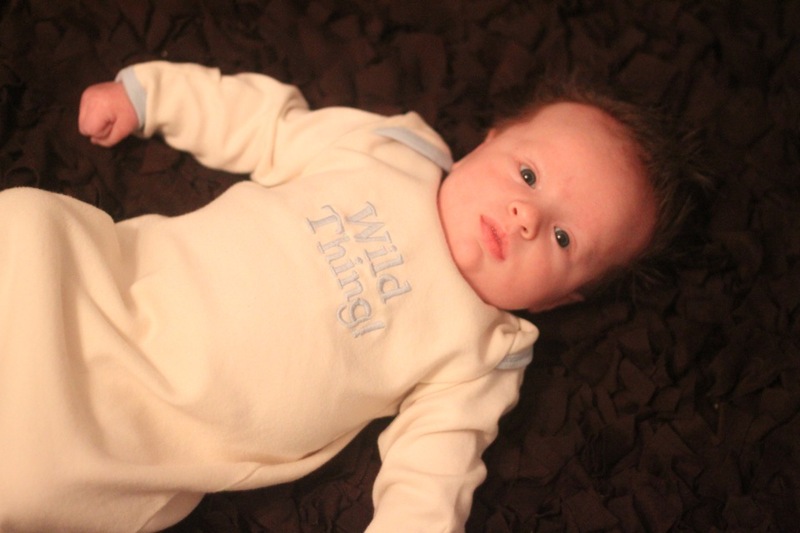 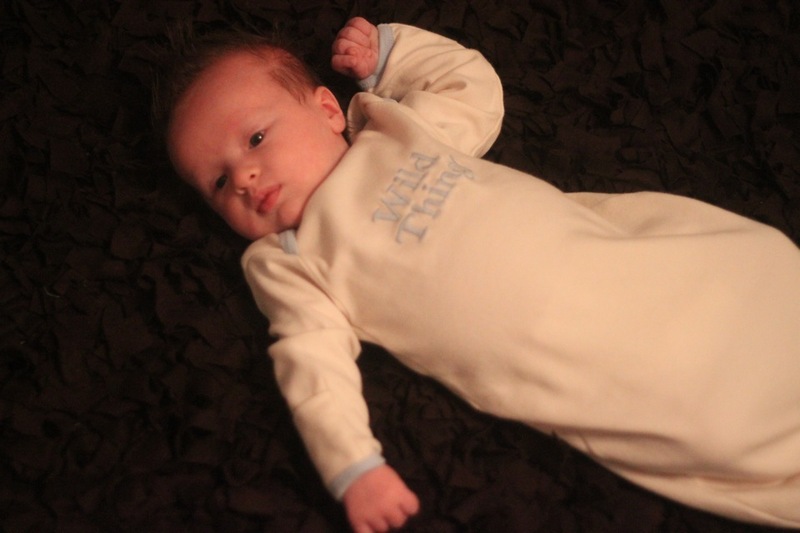 :) I thought this “Wild Thing” gown was appropriate for Cash considering his arrival! 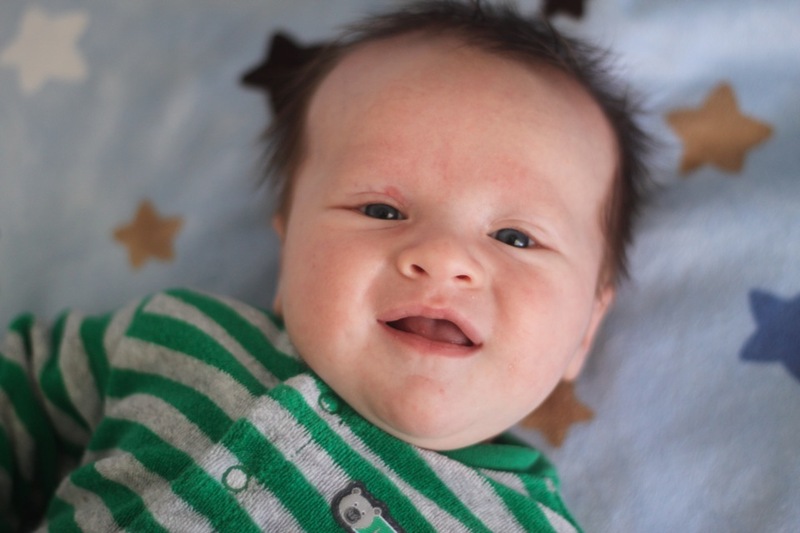 Right around the 8 weeks old mark, Cash began smiling at us all day long! 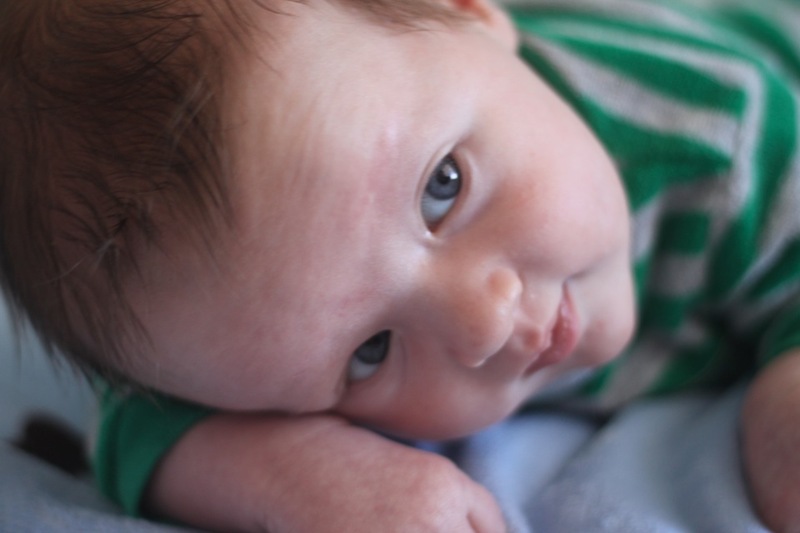 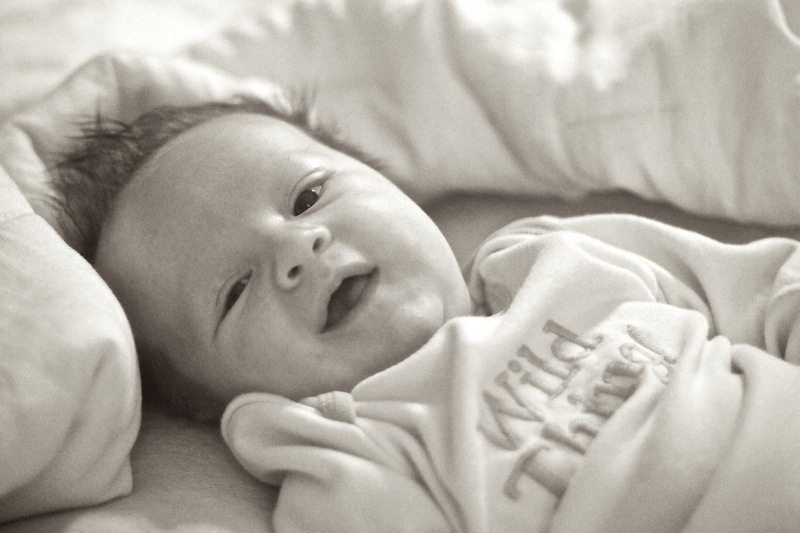 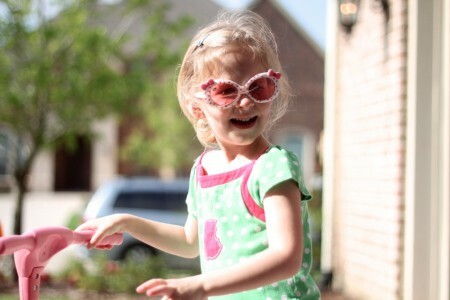 It is such a cool feeling when your babies start to smile at you… on purpose! 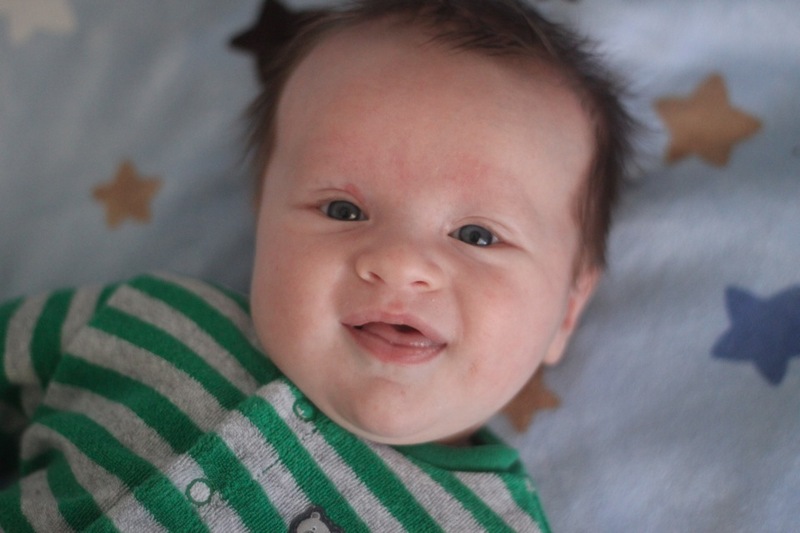 When Cash smiles, his whole face lights up and it just melts me. 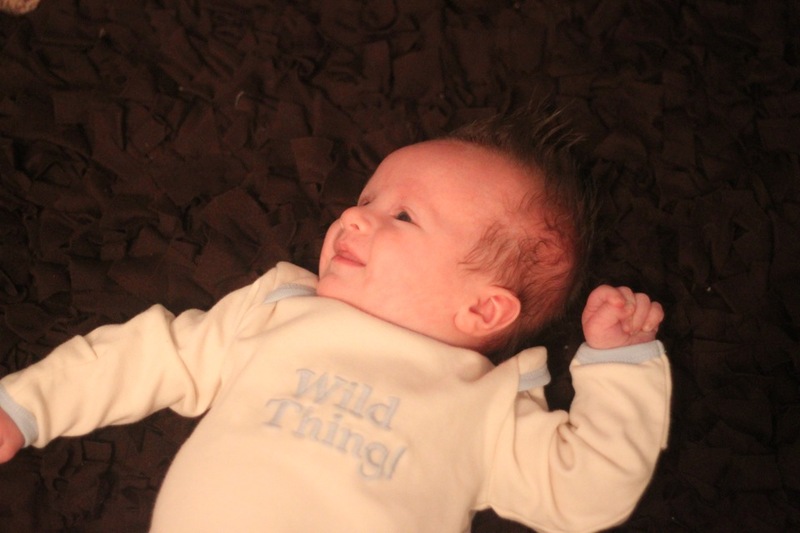 On another note, at about the same time Cash started smiling, he started rolling over from his stomach to his back! 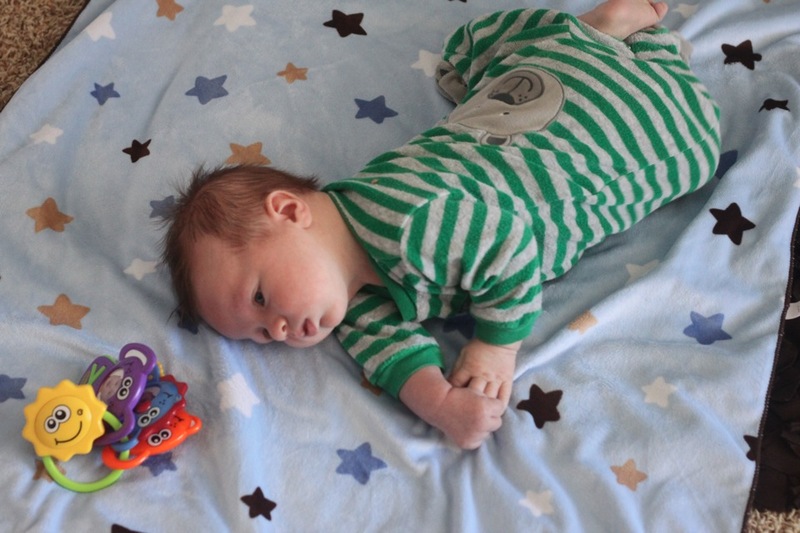 The first time he rolled over I thought it was a fluke thing, but he has repeated his trick many times since then!